More than just a courier service, UPS also provides specialist transportation, logistics, finance and e-commerce solutions. From humble beginnings it has grown into a global brand through acquisitions, and by investing heavily in technology, processes and its workforce. It is hard to imagine, but the global giant that is United Parcel Service Inc. (UPS) was started by two teenagers with a bicycle back in 1907. The company now has an annual turnover of $50 billion, and employs just short of half a million people in 200 countries, delivering 3.8 billion items annually. The company started in North America and steadily grew to encompass the whole area before accessing Europe with a German headquarters in 1976. A UPS airline was established in 1988 and in 1992 acquisitions lead to their expansion into supply chain solutions, followed in 1999 by the company going public with a share flotation. Since 2000 UPS has expanded rapidly through further acquisitions, creating a store brand and heavy freight business, while buying up competition in the US and the UK. However, an attempt in 2012 to purchase TNT Express, as an aid to entering the Asian and expand European markets, was blocked by the EU competition commission. 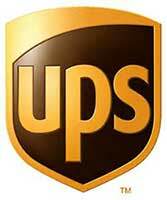 UPS are credited with the original use of the spoke and hub intermodal transport chain. The route along which collections are made forms the first spoke, with timed pickups being coordinated with local deliveries through computerised schedule. At the end of the route consignments from the surrounding areas are consolidated in a hub. Here the packages are sorted into different geographical locations; local deliveries go out again, down a different spoke route, while others are sent on to a larger hub for regional or national distribution; or an international hub if they are leaving the country. The flow is seamless and carried out with a minimum of journeys. As the package gets closer to its destination the hub sizes grow smaller until the final stage takes place, fragmentation, when the packages are delivered to the recipient. Efficient tracking technology has enabled UPS to keep costs to a minimum, ensuring competitive rates and the company’s viability. 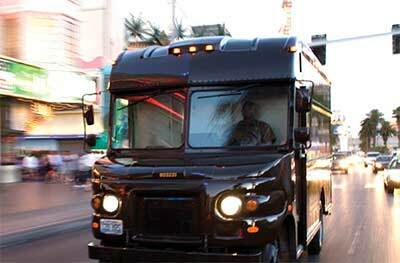 UPS now invests more in technology each year than it does in its fleet of trucks and vans. UPS pricing is individually tailored to the task involved, and is calculated mainly according to the pick up point, the destination, service level, package size and weight. This enables customers to choose between different levels of speed, service and cost, to suit their requirements. There is an application on their web site that generates the various options available, known simply as Calculate Time and Cost. For ease of use the costs are shown in the currency of the country of origin, can be calculated for multiple items and provide door to door dates that include customs clearance if necessary. UPS aim to offer a flexible service that gives customers the widest range of transport options and price points so that they can balance costs against urgency. For regular collections a specific daily time can be arranged to fit in with production cycles, so that resources can be scheduled efficiently. The customer can add a selection of additional packages, using different services, going to a multitude of destinations, without having to arrange a separate collection. For occasional users UPS have their trademarked ‘Smart Pickup’ service; booked online, the collection is automatically scheduled into the drivers next run, even if he is already on the road. For the person receiving the delivery there is UPS MY Choice, which allows them to track the delivery schedule and alter it to suit their movements; the drop off can be rescheduled, redirected or signed for online so that it can be left in a convenient location. UPS provide a secure and well monitored delivery service but the lengths to which this can be taken are highlighted by their Proactive Response Secure service, primarily for time and temperature critical deliveries. The packages are monitored in near-real time and watched over by agents of the company who are authorised to intervene in the case of any emergency developing, which might risk the integrity of the goods being transported. Situations occur outside the control of the delivery company, traffic accidents, roads blocked by floods or landslips for example; and in these circumstances every effort is taken to make sure that the package is kept safe, such as using more dry ice, finding additional refrigeration, or even expediting the goods onto the next available flight. Should all this fail to protect the sensitive materials there is a simplified insurance claims service included to cover the loss. The systems required to ship 3.8 billion items each year mean that UPS is ideally suited to provide tracking facilities for its customers; which it does so in a variety of ways. The processes can follow a package along every step of its journey and different service levels virtually allow tracking in real-time. With the e-mail service the individual identity numbers of up to 25 items can be included in one message which will receive a detailed tracking update by return. When a booking is made customers have the option to create their own tracking number, which might be the purchase order number for example, cutting down on paperwork and bureaucracy. Vendors can include the UPS tracking facility in their own web sites, cutting down their need to answer customer queries directly, while encouraging repeat visits to their site. When the initial booking is made the UPS system automatically validates the delivery address, which avoids introducing unnecessary errors before the parcel is despatched. Apart from expanding into new geographical areas UPS is now focusing on flexibility, efficiency and its impact on the environment, and customer service, to increase its market share. Their next planned innovation is the introduction of delivery drones, unmanned flying parcel carriers, and if anyone has the technology do this, it is probably UPS. HI I asked amazon to arrange delivery of this item to a company in Bronx New York : CROSS ATLANTIC, to be shipped in a container. They said this item never arrived or they lost it. Can I have a copy of the Delivery Voucher please. Thanks ! I HAVE ORDERED THIS SAME PACKAGE 3 TIMES!!!!! FROM PUMA AND THEY HAVE REPEATEDLY CHANGED MY CORRECT ADDRESS 3 TIMES WITH UPS AND UPS STILL KEEPS DELIVERING IT TO THE WRONG ADDRESS ????? WHY? WHEN PUMA HAS FORWARDED ME THE EMAILS OF THEM CHANGING THE ADDRESS SO UPS IS NOT DOING THEYRE JOB WHY DO THEY KEEP SENDING MY PACKAGES TO MY NEIGHBORS HOUSE AND HE KEEPS RETURNING THEM AND NOT MINE????? IF I HAVE TO ORDER THIS PACKAGE A 4TH TIME IM GOING TO BE HIGHLY UPSET SO I NEED MY PACKAGE FOUND!!!! I HAVE MY FIANCE DRIVING AROUND TO OUR NEIGHBORS HOUSES LOOKING FOR IT RIGHT THIS SECOND…. I would like to know how someone “tried to deliver my packages” and left no notice of them being here? What am I supposed to do now? The post office has no records of the tracking numbers I provided. The tracking information indicates an attempt to deliver by USPS at 6:15pm and they were unable to deliver package and a note was left. I don’t know where they tried to deliver it, but it wasn’t where I live. I was home all day and night and no package, no note left. My UPStracking # is 1Z2FF960YN03301730. My UPS track #: 1Z3899WY0391525203. The computer registre that the package was delivered. What’s wrong??. What can I do?? I’m waiting to order the incubator want to know when you will arrive by the last date of the deadline was yesterday 01/04/2016 Atte. Evelyn Estrada. And I order a packed it should be here on the 24 but I still dont get anything ? Hi I’m trying to get my tracking number for my package that was send out on Friday from the netspend company. Can you get back to me thank you. We are not in charge of it. Help to get it on its way would be appreciated or have it sent back to us. Please call UPS. This shipment seem to be on hold. It can’t be staying in Seattle all the time.